SOLD | SUZUKI Goro | Goribe Large Box — Dai Ichi Arts, Ltd. 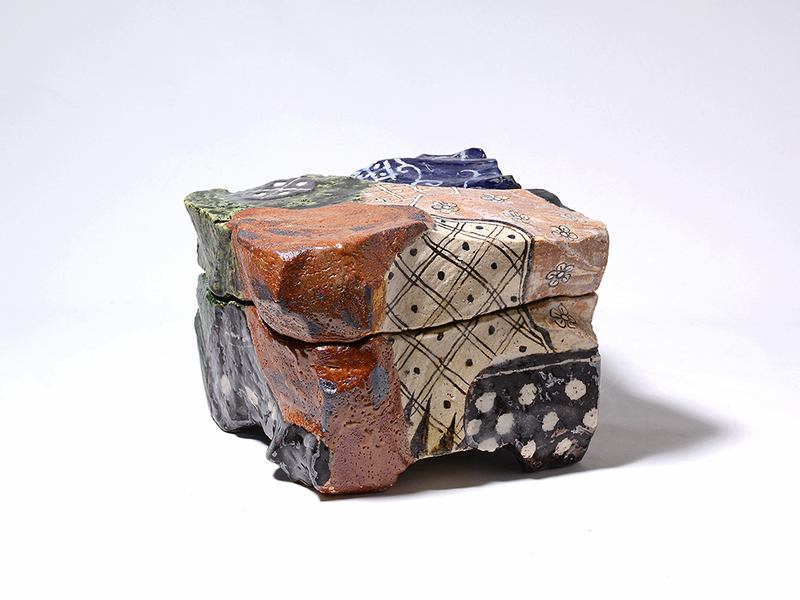 This large box by master ceramicist Suzuki Goro is glazed in the traditional oribe style. Oribe ware holds a unique place in Japanese ceramics, originated in 17th century, largely produced in Mino area. One of its characteristic geometric and organic designs on a burnt orange field coupled with areas of rich green glaze are immediately recognizable. Here on Suzuki's box, the high contrast between orange and green provides a nice visual "pop," and their successful pairing requires a carefully maintained temperature during firing. The green glaze does not seem dry at all, but rather retains an exuberantly liquid sheen and pools thickly in the irregularities of the surface as well as in the corners of the box's interior. These jewel-like pools emphasize the gentle undulations of the surface, cut by the artist into beautiful organic lines. The orange sections contain the typical Oribe countryside designs, including woven bamboo, twisting vines, hanging fruits, and the artist's own signature flying crow. The box has an ancient pedigree in Japanese art, but Suzuki's boxes transcend this history by creating something wholly new and individual. 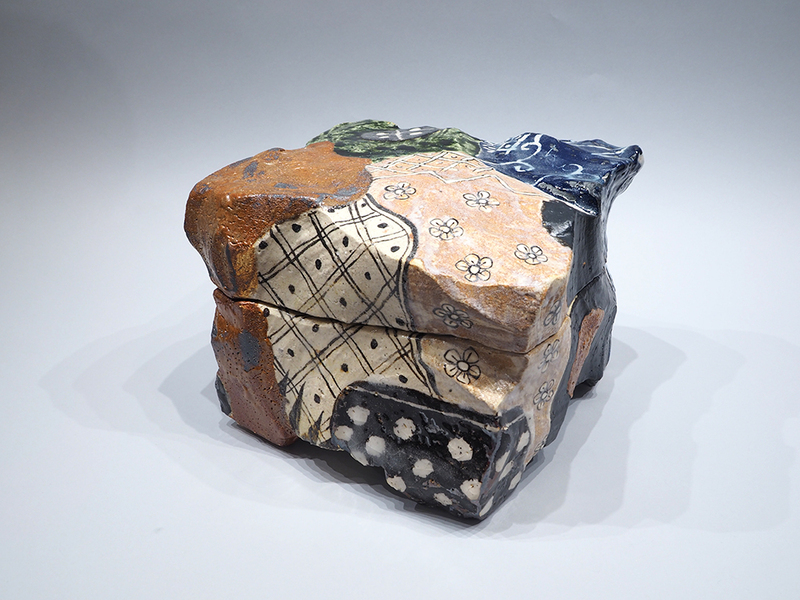 Suzuki Goro's work can be found in numerous public and private collections, including the Metropolitan Museum of Art, New York; the Museum of Fine Art, Boston; the Japanese Ceramics Museum, and many others. Suzuki's playful and engaging work proves his position as a master of the ceramic arts, as this commanding box beautifully illustrates.